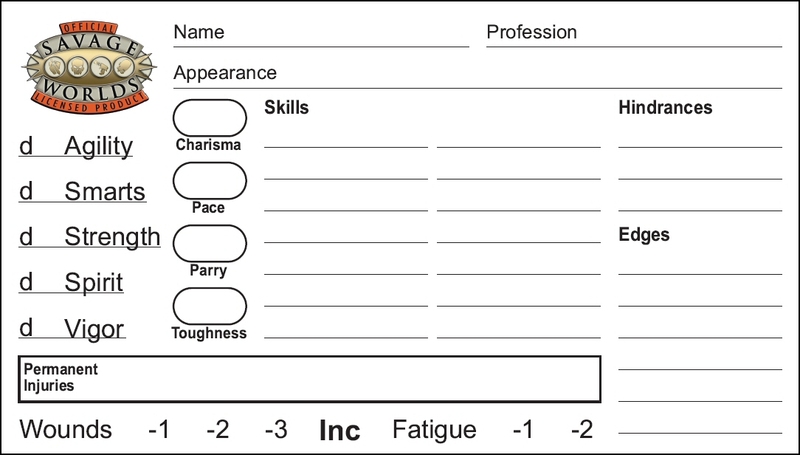 The Savage Worlds Character Sheet Kickstarter is going well (currently at 185% with 10 days to go). 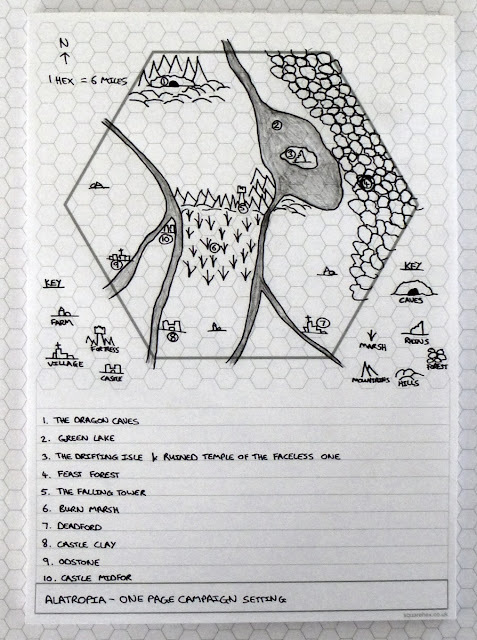 Although initially I stated there would be no Stretch Goals, I started messing about with a Mini-Character Sheet Card design, and have now added it as a £500 Stretch Goal. Backers pledging for 3 pads of sheets will receive 10 cards, those pledging for 5 or 8 pads will receive 20 cards, and the 10 pad pledgers will get 30 cards. All backers may also order extra sets of 100 cards.. 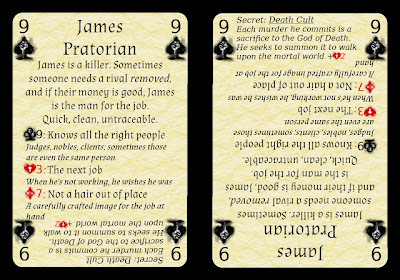 The cards are double-sided and measure 87mm wide by 49mm high. 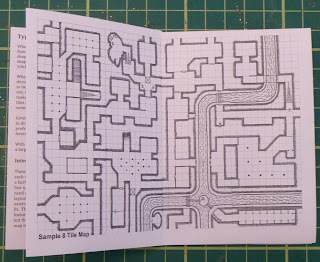 I've been following the Tome of Horrors Miniatures Kickstarter for a couple of weeks now. 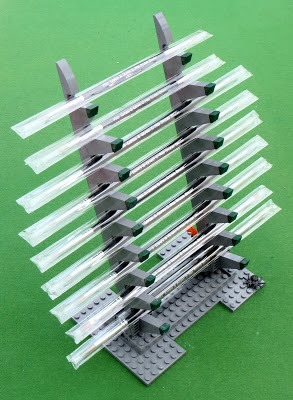 Today I decided to jump in at the $200 level (plus a bit extra for shipping and add-ons). 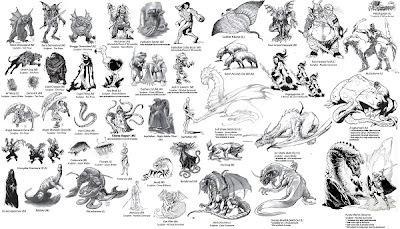 When the project launched I didn't think much of the initial 17 monsters they'd selected, but as things have progressed they've added some I like a lot more. 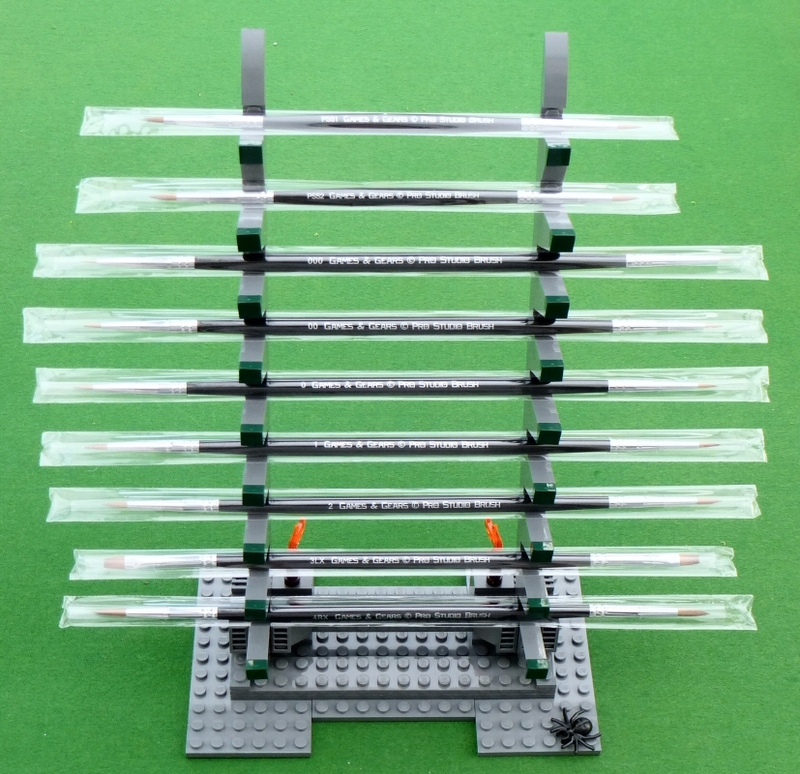 There are also some great potential additions if the next few stretch goals are reached. The project seem better implemented than the Demons and Devils Kickstarter that Center Stage Minis ran last year (sorry I just couldn't get my head around that one). 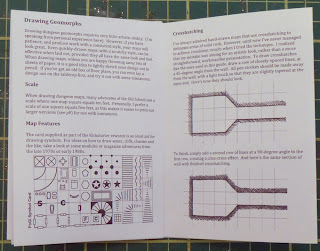 This time they have included the option to completely customise the selection of miniatures your pledge gets you. Added to that they are offering extras of nearly all the figures in the campaign (including some pretty big things) for just $5 each. I've now added the new A3 and A5 pads to the Squarehex webstore. Also just in today, are some fun Fridge Magnet versions of our Symbol Card. 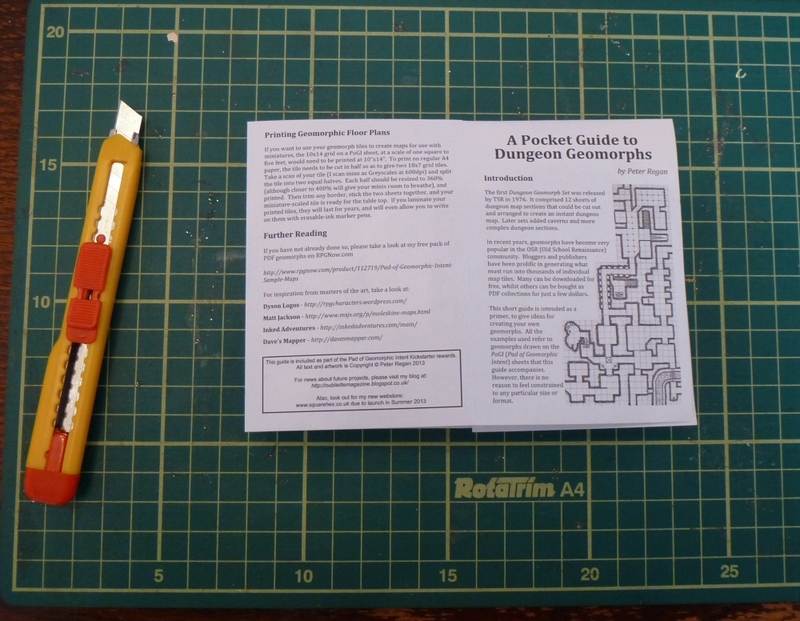 For a limited time, every order large or small will get a FREE fridge magnet and a FREE Pocket Guide to Geomorphs PocketMod. Every order also comes with a FREE standard Symbol Card but that will be ongoing after the launch promotion. 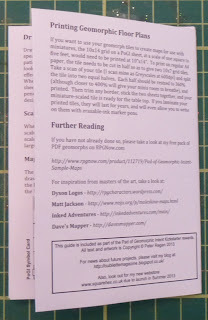 If you want extra cards or guides they can all be bought on the site. 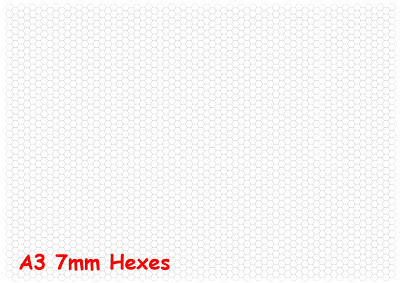 A5 with 7mm Hexes and a large hex. 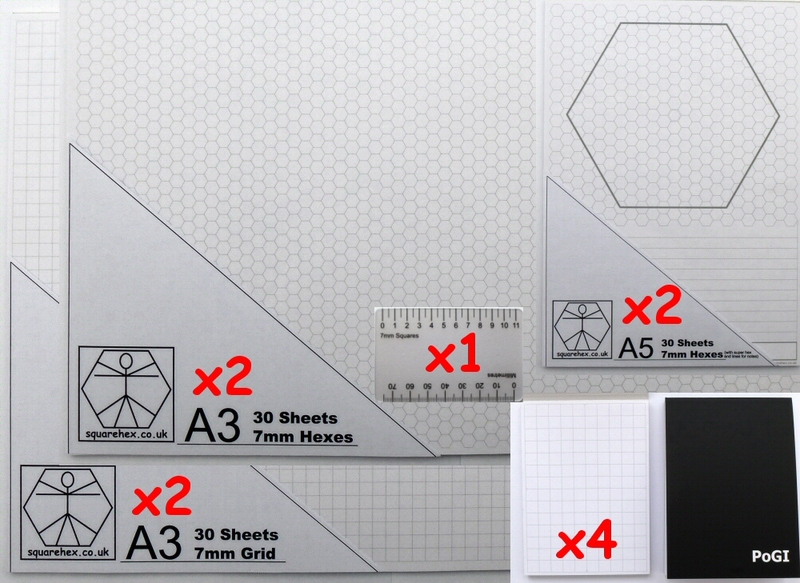 Bundle1 contains: 1 A3 Grid pad, 1 A3 Hex pad and 1 A5 Hex pad. 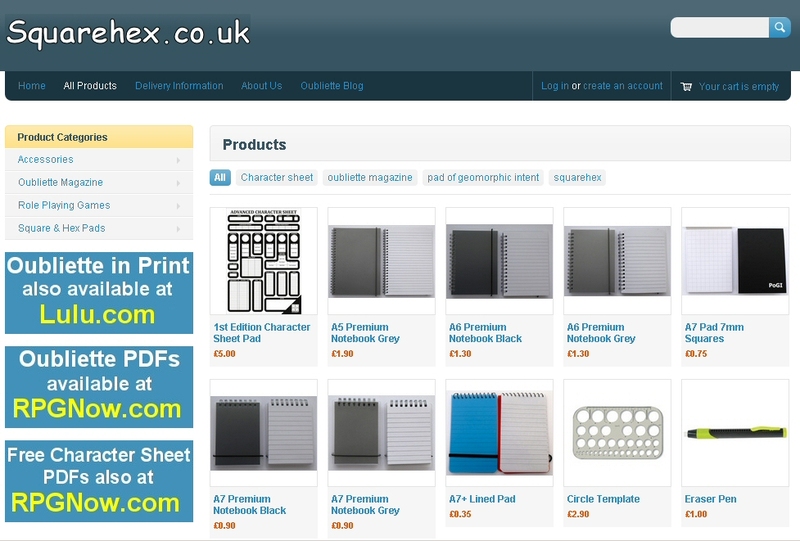 It costs £7.90 which gives a saving of almost 20% against the individual selling prices. 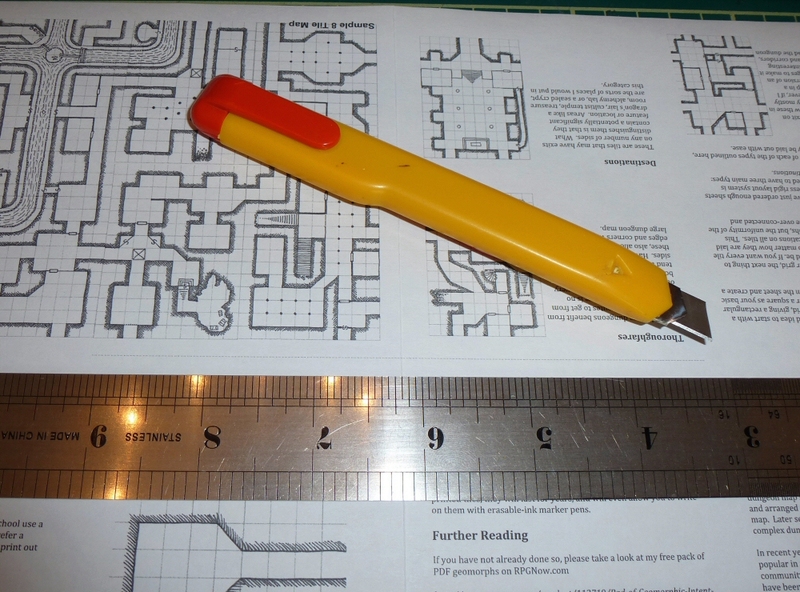 Bundle2 (pictured below) contains 2 A3 Grid pads, 2 A3 Hex pads, 2 A5 Hex pads, 4 PoGI pads and a Plastic Card Ruler. It costs £16.90 which gives a saving of over 20% against the individual selling prices. Although I got the stock of my new hex pads on Thursday, the UK Games Expo over the weekend meant I didn't get a chance to try them out immediately. Today, I spent a pleasant Bank Holiday afternoon in the park, and while my daughter was playing, I sat and sketched maps and scribbled notes. I drew them in pencil, so on returning home I've quickly inked over one of them. It's a mini-campaign setting on a single sheet of A5 paper. The new A5 and A3 pads will go on sale tomorrow at my Squarehex webstore. I also plan to add some bundle offers that include a mix of all the pads in the range at a discounted price. We had a great weekend at the UK Games Expo. 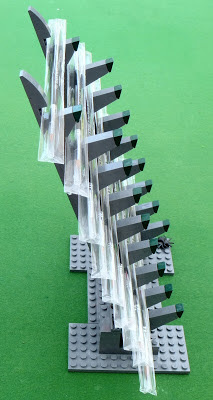 Having attended the show as visitors for the the last two years, we decided to put together a stand for the 2013 show. 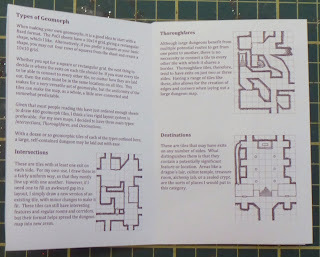 During the last two days, we have chatted to some of our Kickstarter backers, OSR fans and lots of other gamers which was both enjoyable and illuminating. We also made a profit which was gratifying. We will almost certainly be back next year. 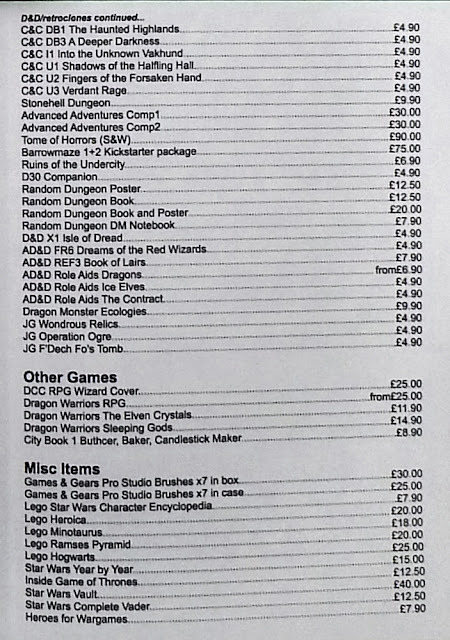 Our best-selling items were our own PoGI pads, the Random Dungeon posters and the Labyrinth Lord books. Our stand was next to Leisure Games, which was handy as they are one of the major retailers at the show. 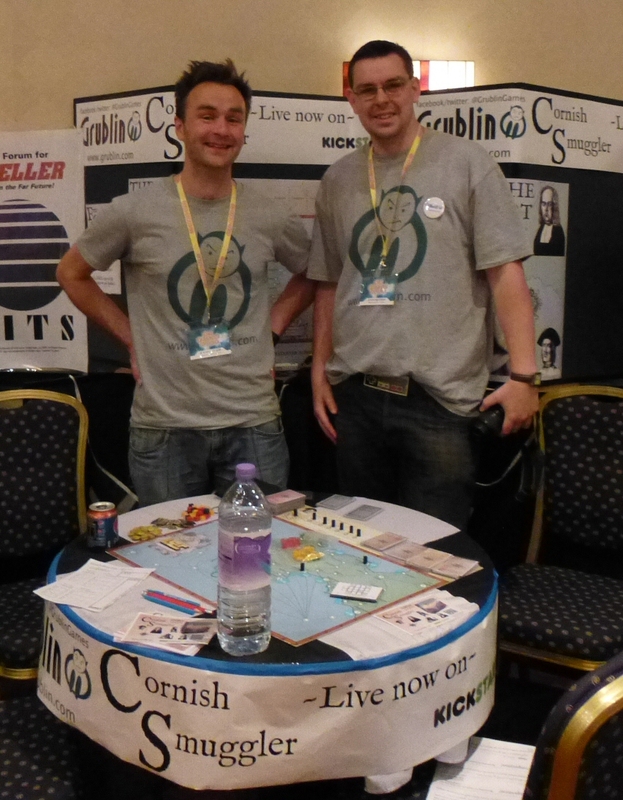 On the other side of us were Grublin Games who are running a Kickstarter for a very cool boardgame - Cornish Smuggler - which we've backed. 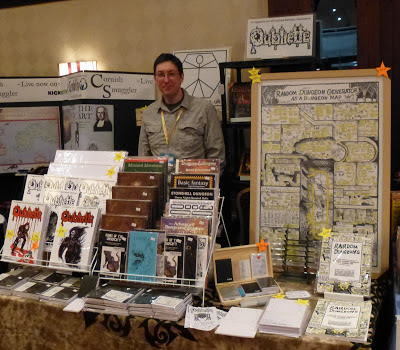 LotFP had a stand just across from us, and Jim said he'd had a good show (his Pay-What-You-Like Pricing Policy was rewarded by honest Gamers offering decent payment). 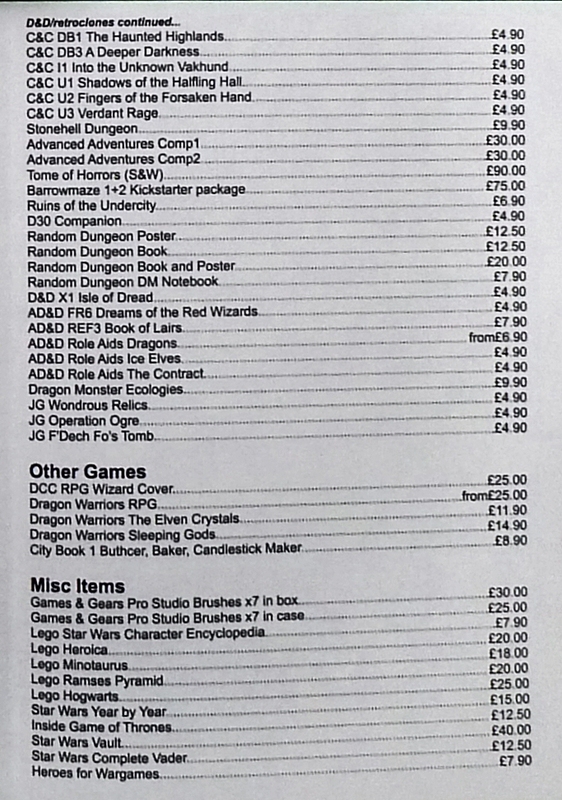 Otherwise there wasn't much old school gaming, although Chronicle City did have print copies of Dungeonslayers on their stand. 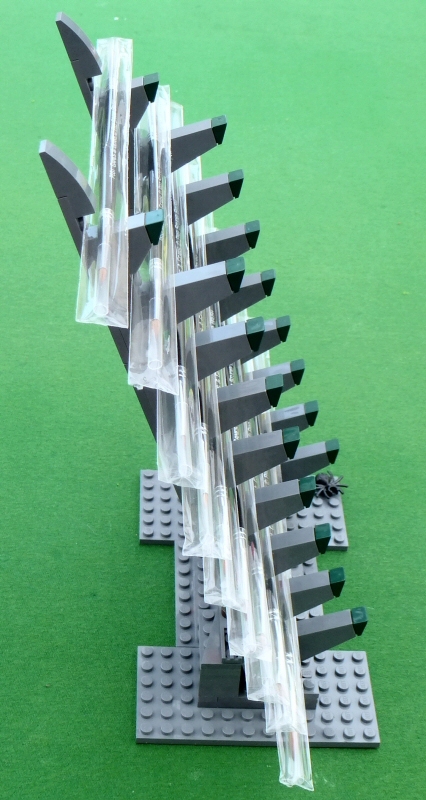 Here below are the pictures we took: A shot of our stand. A photo of Grublin Games's Henry and Jeremy - two great lads of a team of three who were also excellent neighbours during the show. 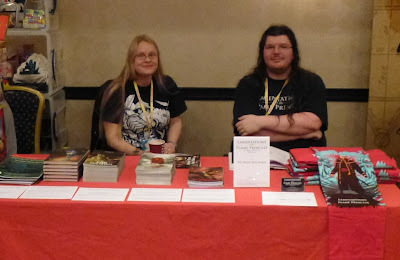 And a photo of Jim and his wife at their LotFP stand. All in all, a great weekend. 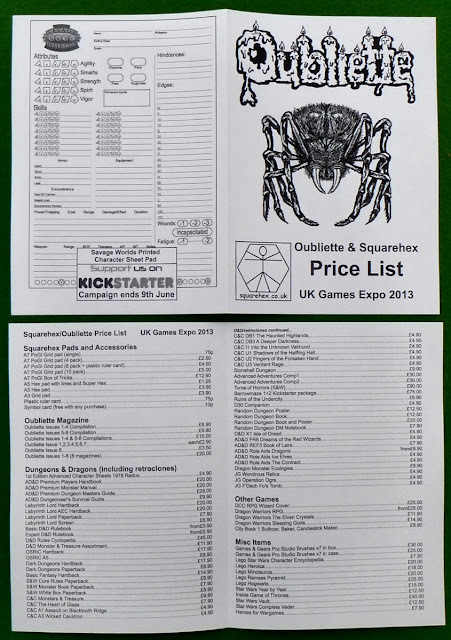 Oubliette/Squarehex has a stand at this weekend's UK Games Expo. We will have for sale copies of Oubliette and various OSR publications, including some that are tricky to find in the UK. We will also have lots of PoGI pads and accessories, plus, if they are printed in time, our new A3 and A5 pads. Our stand is number P39 in the Palace Suite. If you're at the show please drop by to say hello. I put together a small A6 flyer/price list for the show just for fun. It reminds me of some of the adverts in gaming magazines from the 80s. A couple of weeks ago I received my brushes from the Games & Gears Kickstarter. I've not tried them out yet, but will post a review when I get round to them. 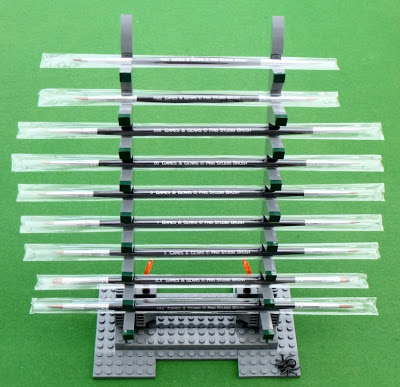 However, I did get a chance to make a Lego brush holder, inspired by the Samurai brush holder that Games & Gears will be shipping in the next couple of months. 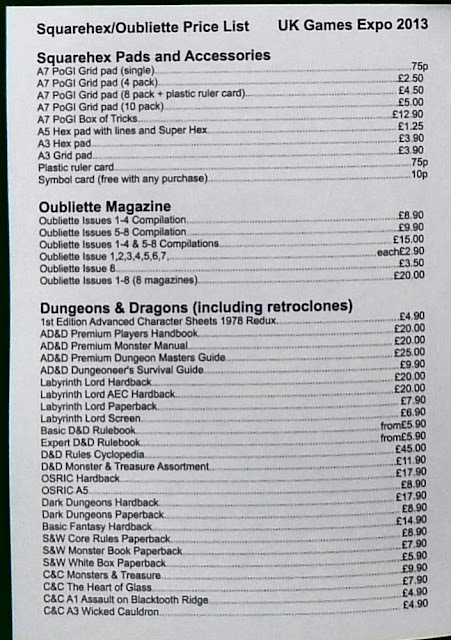 If anyone missed the Kickstarter and wants to get a set of the Pro Studio brushes, I'll have a few sets to sell on the Oubliette stand (P39 in the Palace Suite) at the UK Games Expo next weekend. 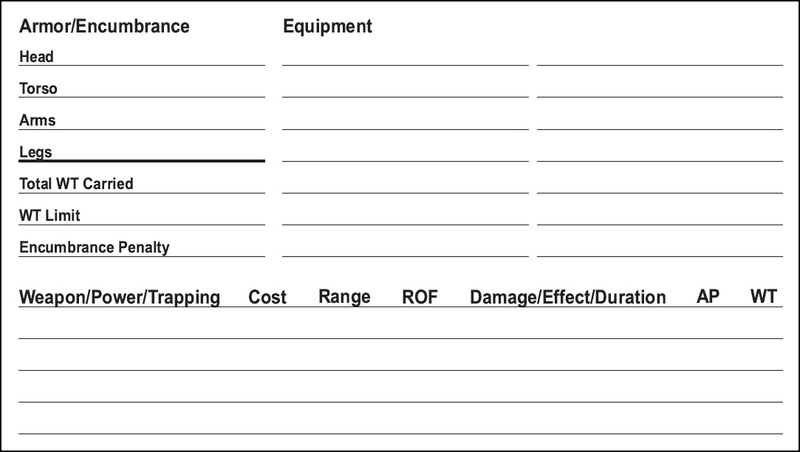 Now that the Savage Worlds Character Sheet Pad Kickstarter has hit its funding goal, the FREE PDF of the sheet is available for download at RPGNow.com. 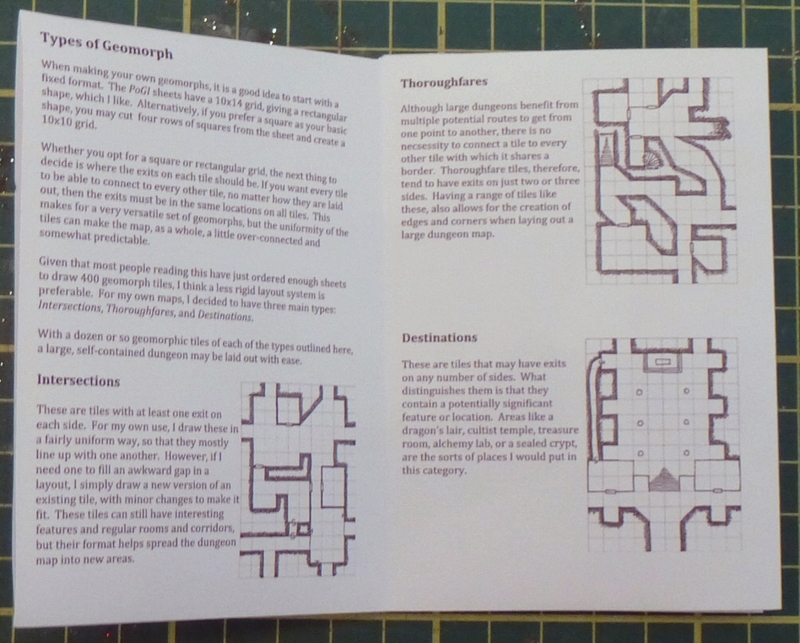 There's still over three weeks left to run on the Kickstarter, so if you like the look of the PDF, you can grab a few pads of them. 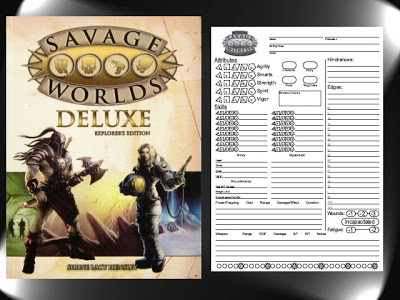 Printed character sheet pads are always going to be a niche product, so I'm delighted that the Savage Worlds Printed Character Sheet Pad project has managed to reach its goal in just 5 days. Thank you to everyone who has either backed or help promote the campaign. 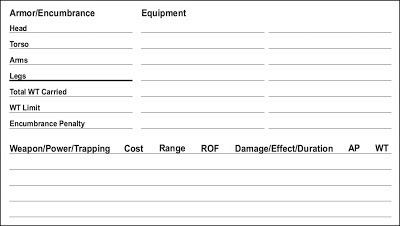 Hitting our goal also means that I can release the free PDF of the sheet. 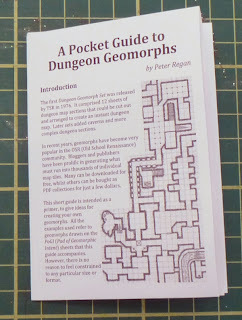 I'll post a link to it at RPGNow.com on the main project page and on this blog tomorrow. Another project that might appeal to Savage Worlds fans is Stephen Coffey's Character Cards. The cards are a deck of playing cards that double as a set of instant characters for use in roleplaying games, fiction or storytelling. As I write, the project is less than £200 away from hitting a major stretch goal that will bump the number of cards in the deck up to 80. The campaign has only another couple of days to run, so if you want in don't hang about. Today is the soft launch of my new webstore Squarehex.co.uk. The site is live now and ready to take orders. 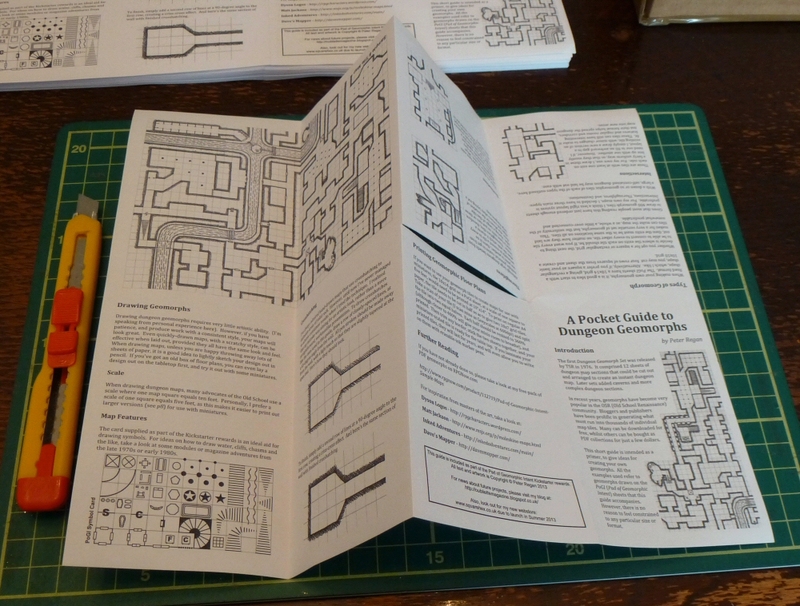 On offer are products from both of my recent Kickstarter campaigns along with print copies of Oubliette. 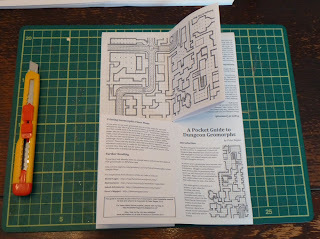 Over the next few weeks I will be adding more products and hope to include a small selection of OSR publications. Following on from my previous Kickstarter, after a rest period of several hours, I'm pleased to announce the launch of a brand new one. 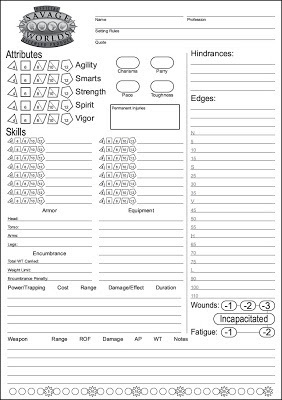 A campaign to fund printed Character Sheet Pads for use with Savage Worlds. 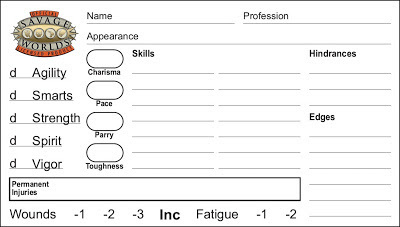 The project aims to fund a professional print run of A5-sized character sheet pads. 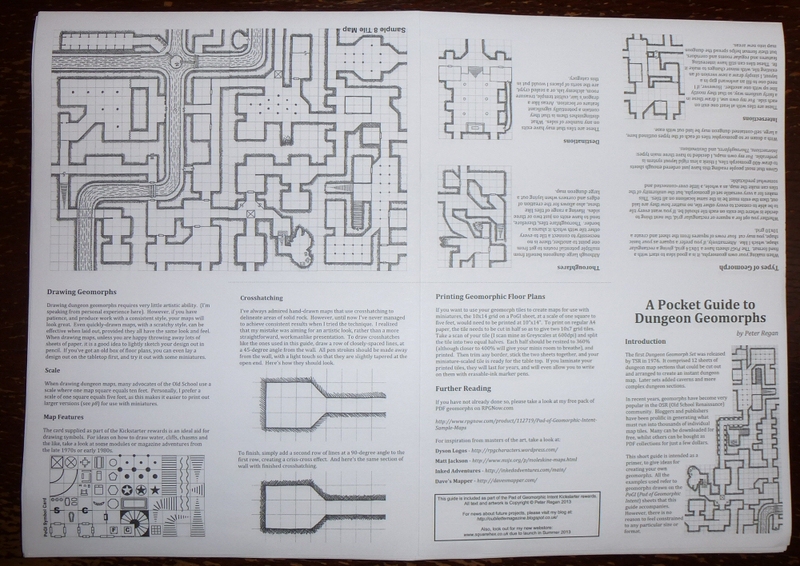 The pads are officially licensed for use with the Savage Worlds roleplaying game. Their design is based on the character sheet that appears in the back of the Savage Worlds Explorer's Edition rulebook. The character sheets will be professionally litho printed, and will come as board-backed pads of 25 sheets glued along the top edge. Once the basic funding goal is met a PDF of the character sheet will be released as a FREE download on DriveThru/RPGNow.com. Whilst the sheets may then be printed on a home printer, you will be hard pressed to match the crisp output of a printing press, which really makes a difference on sheets of this size. PoGI Kickstarter Delivered on Time! 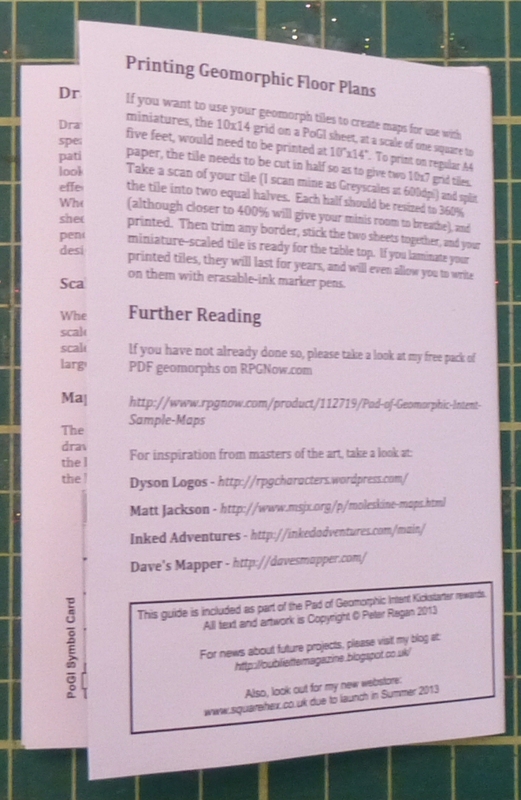 All the rewards for the PoGI Kickstarter have now been posted. Going by my schedule I actually finished a day early. 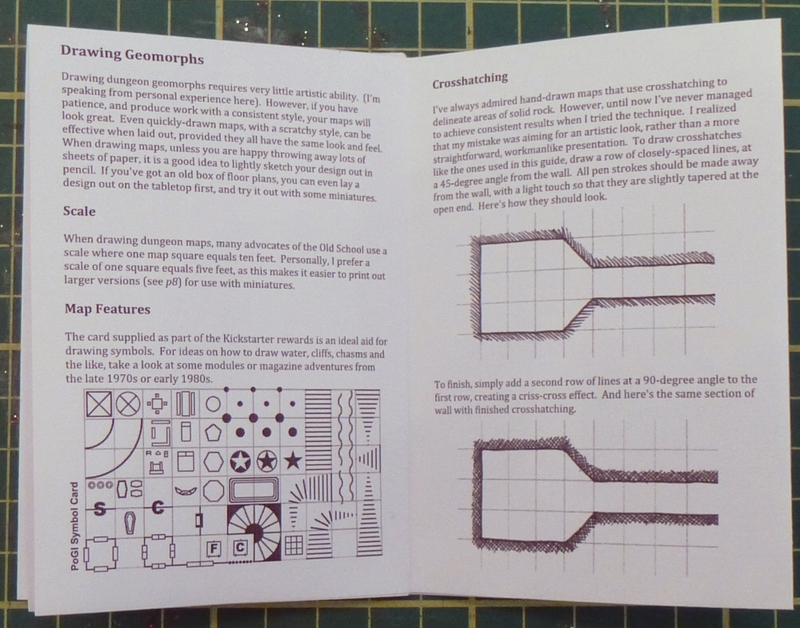 I've already had some great feedback from backers that received their pads today. I'm now going to start work on getting the squarehex.co.uk website ready for launch. 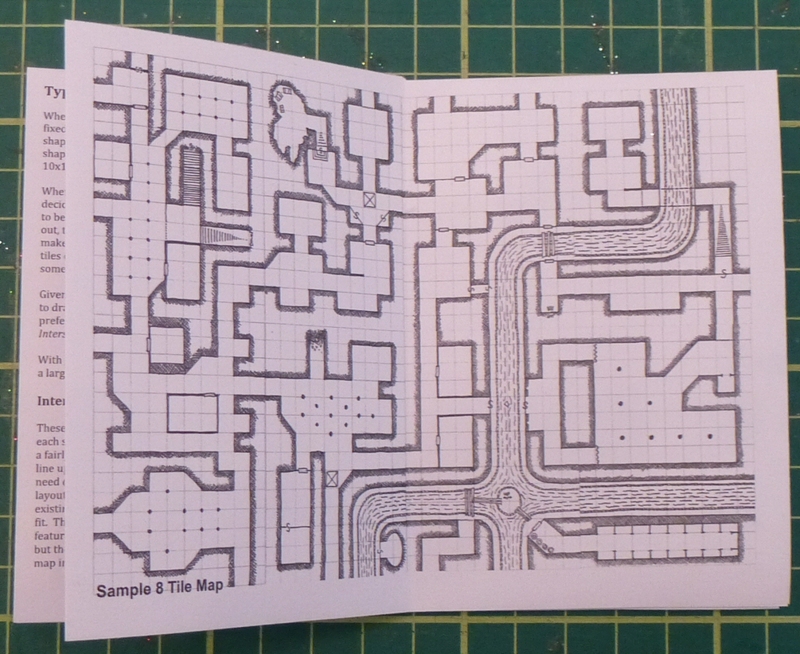 I've ordered small test print runs of A3 hex and grid pads, and A5 hex pads, which I intend to release for sale on the site as soon as they are delivered. 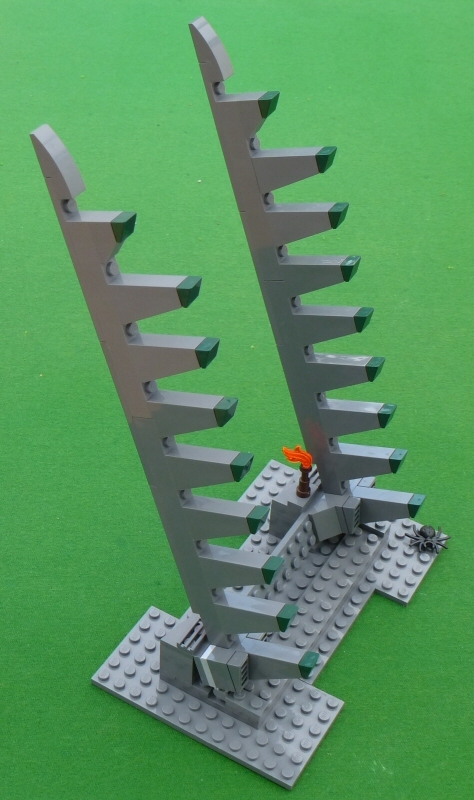 In two weeks time, I shall be at the UK Games Expo in Birmingham (Stand P39 in the Palace Suite). I'll have a healthy stock of pads, copies of Oubliette and a few other OSR gaming bits for sale. 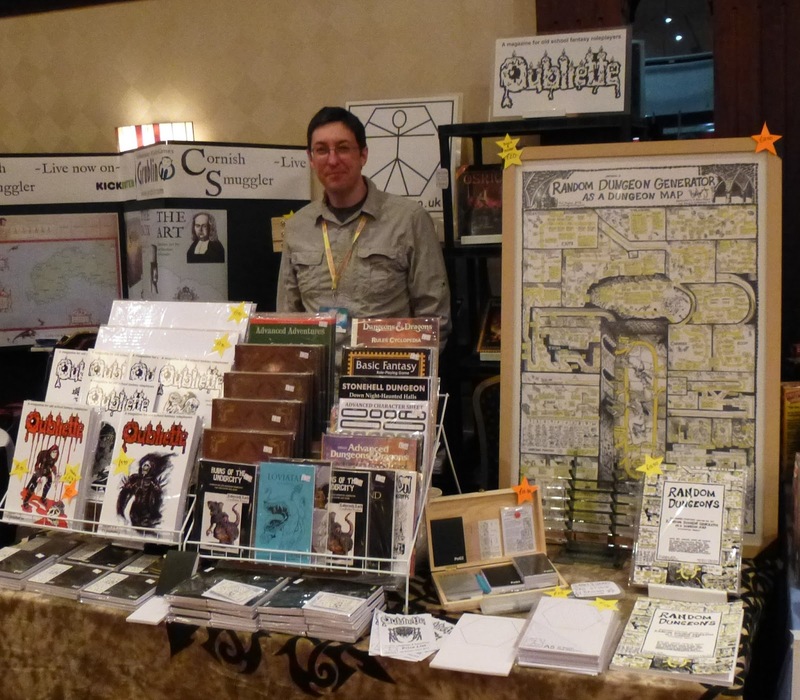 If any readers/backers are attending the show, please drop by and say hello. As one Kickstarter Campaign closes, it's time for another to begin. 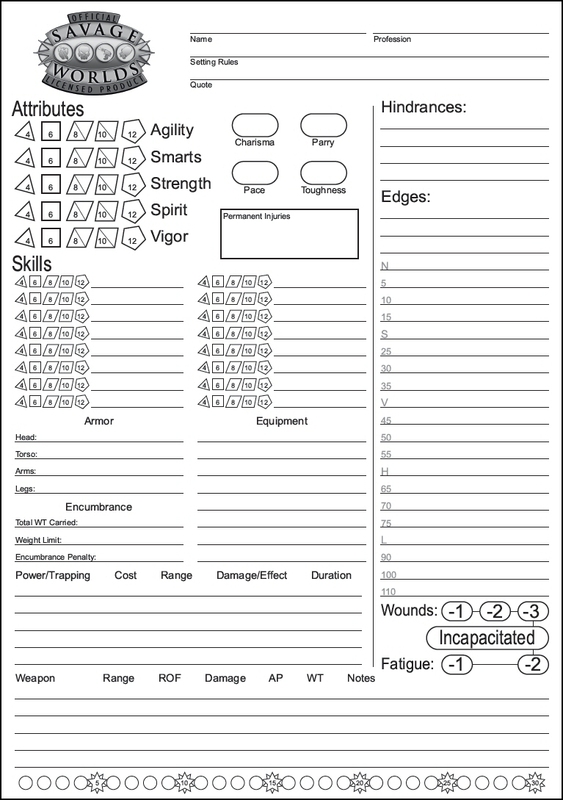 Here's a preview link to my Officially Licensed Savage Worlds Character Sheet Pad Project. Starts tonight at 8pm. 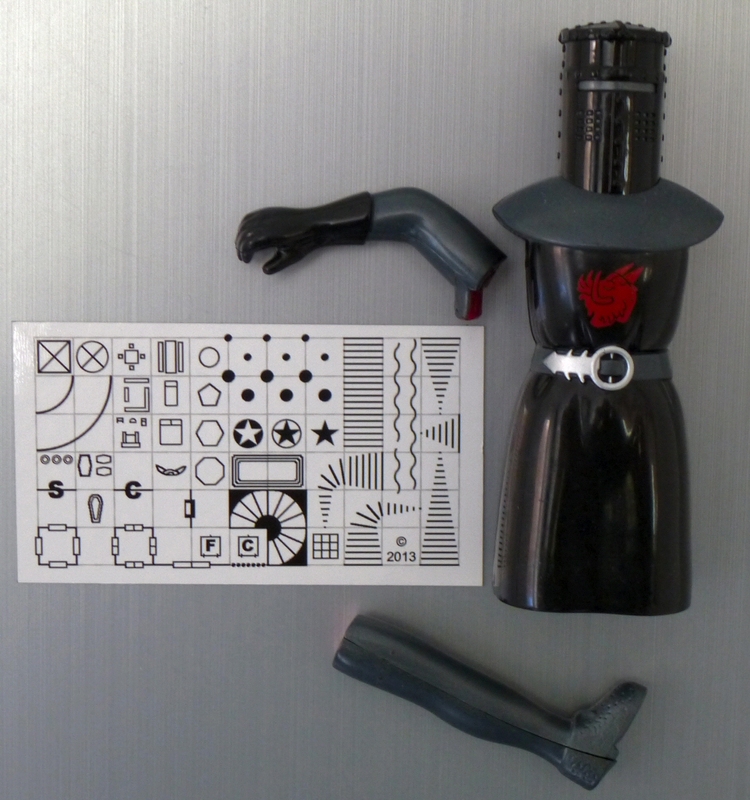 Last but not least, I'll be cracking on with Oubliette Issue 9. 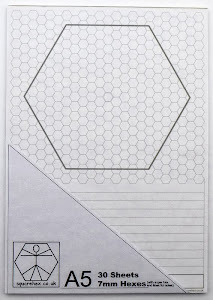 While I'm waiting for my PoGI order to be printed (should be ready to collect tomorrow afternoon), I've been playing with a few designs for hex paper pads. 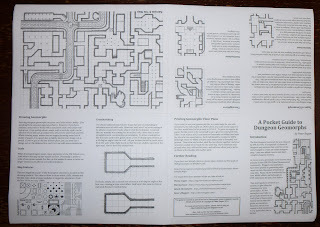 I'm planning to order a couple of small test print runs for some A3 and A5 pads. 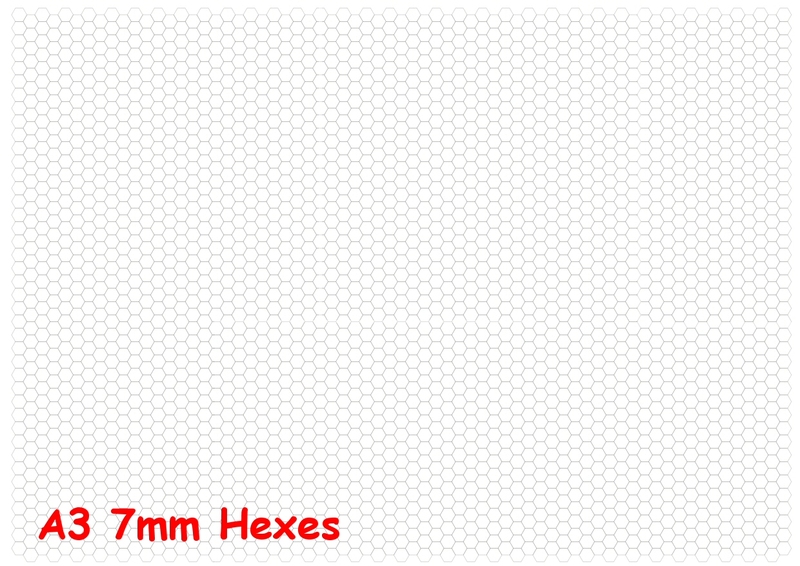 The will both have 7mm tall, horizontally-arranged hexes, printed in light grey. The A5 pad will also have a 15x15 super hex printed on it. 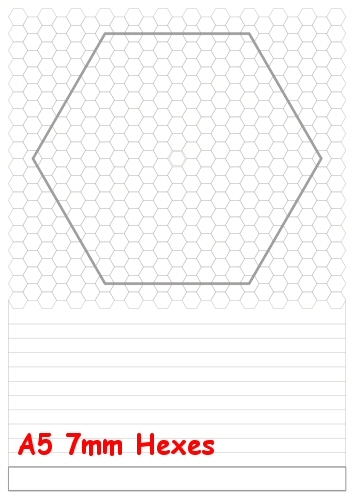 The centre hex will be marked for convenience and the bottom third of the page will be lined for adding notes. One of the Stretch Goals in the PoGI Kickstarter project was a Pocket Guide to Dungeon Geomorphs. 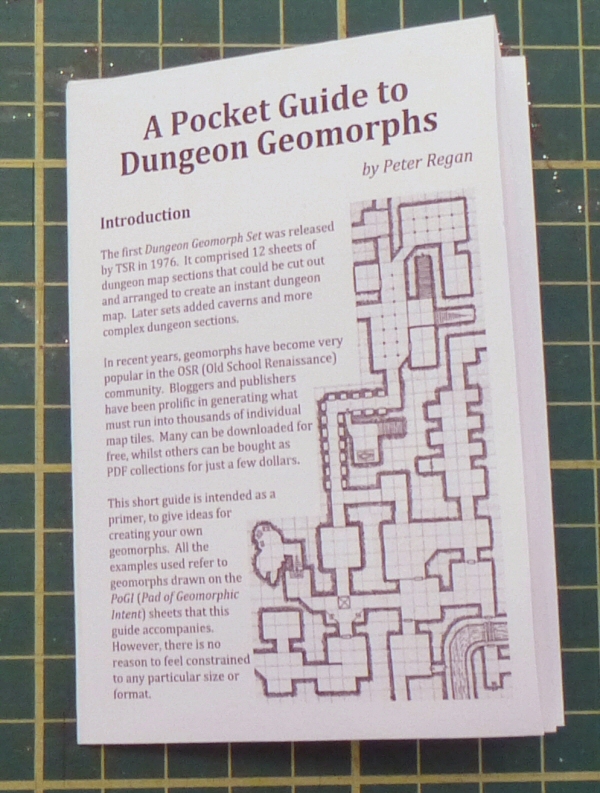 I've now printed, cut and folded over 200 of them, ready to send out to backers next week. 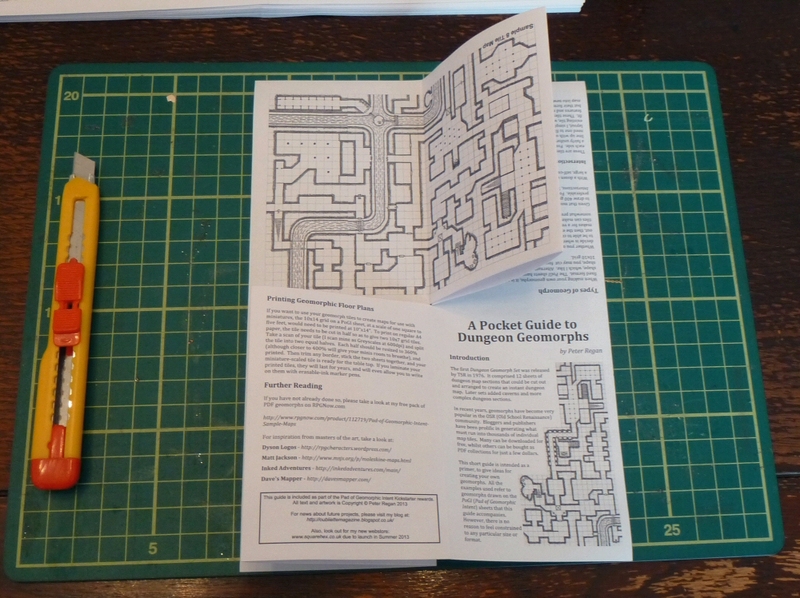 The guide is in PocketMod form and essentially is just an A4 page turned into an 8 page A7 booklet. 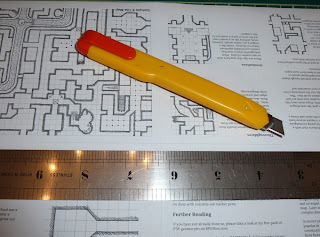 Here's some step-by-step photos of it and the finished article.